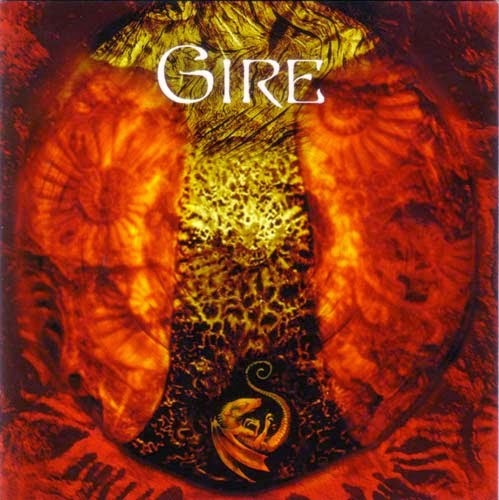 After listening to the whole Gire discography, I can safely say they were one of the best Hungarian metal bands ever. They already were mentioned on my blog in connection with Thy Catafalque, the other project by Tamás Kátai which is industrial/avant-garde metal too, but has roots in black metal (Gire's music is based mostly on death metal, but I don't think they fit in any particular genre). The early Gire demos from the late 90s ("On dist. ", "Energire") are more or less regular death/thrash metal, yet they already were innovative enough to expect something big in the future. Here you have it: the one and only full-length release from Gire, mostly consisting of re-recorded demo tracks from the 1st half of 2000s. Nearly every song on this album is great, it really sounds more like a "best of" compilation rather than an ordinary album (which actually makes sense, since it includes only the best tracks composed by Gire during 1995-2007). Another pecular feature of this album is that it contains a lot of folk elements, which isn't very typical for industrial metal. Unfortunately, Gire doesn't exist any more - they have split up shorly after this release came out, due to Zoltán Kónya's lack of motivation, and the relocation of other two members to Scotland. That said, they definitely have left their mark in the history of Hungarian avant-garde music, and this album is well-deserving its 1st place in Hungarian Metal Awards 2007 chart. By all accounts, Gire were an unique band, but if you liked them, there's a probability that you'll like Guilthee and Watch My Dying as well.